Unique patina technology allows to blend texture and warm colors of reliable anti-vandal SteelTex coating. This Verona Entry Door can create the most welcoming and cozy atmosphere in your home. Unique patina technology that gives the door unique, aged appearance allows blending texture and warm colors of the reliable anti-vandal SteelTex coating. This Verona Entry Door can create the most welcoming and cozy atmosphere in your home. Hidden stiffeners and irremovable bolts on the side of the hinges provide the door with the high level of protection against burglary. The thickness of steel plates in the lock's area is 2.7 mm (0.07"). All keys are packed in branded bags with the logo on it and are opened only in the presence of the customer. Featuring three heat and sound insulating layers, the door is able to protect the house from cold and heat, external odors and noise from the outside. Special insulation does not absorb condensation and moisture from the air, which prolongs the service life of the whole door. The service life of a two-component sealant is more than 20 years. Six layers of steel protection and special insulating materials protect the front door from corrosion. Stainless steel threshold retains its appearance the whole period of operation. Dimensions: W34/37" x D3.1" x H80.7"
Impressive door, oh this color I like it! They've recently installed it and looks "wow". great guys who can answer all the questions about their broad selection of doors... great prices as well! The friendly customer representatives too! 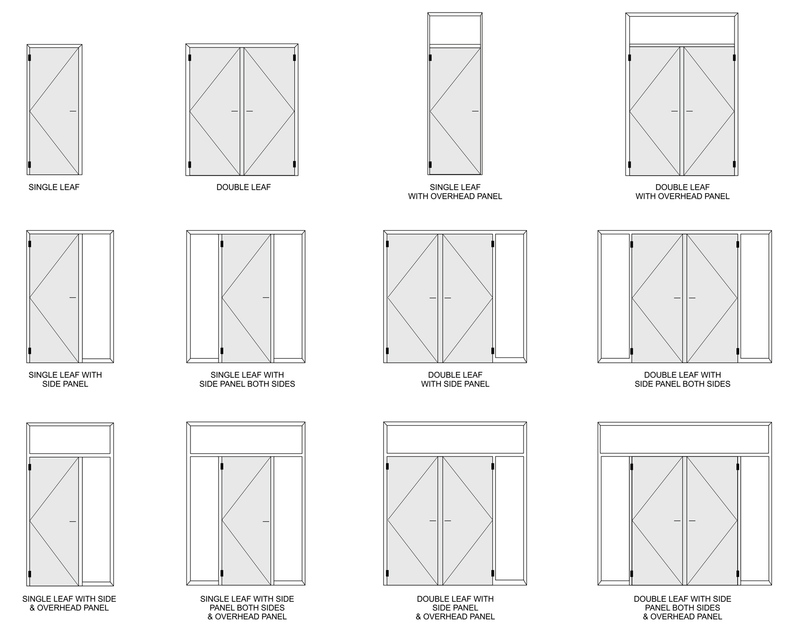 Attractive, quality, and strong exterior door. 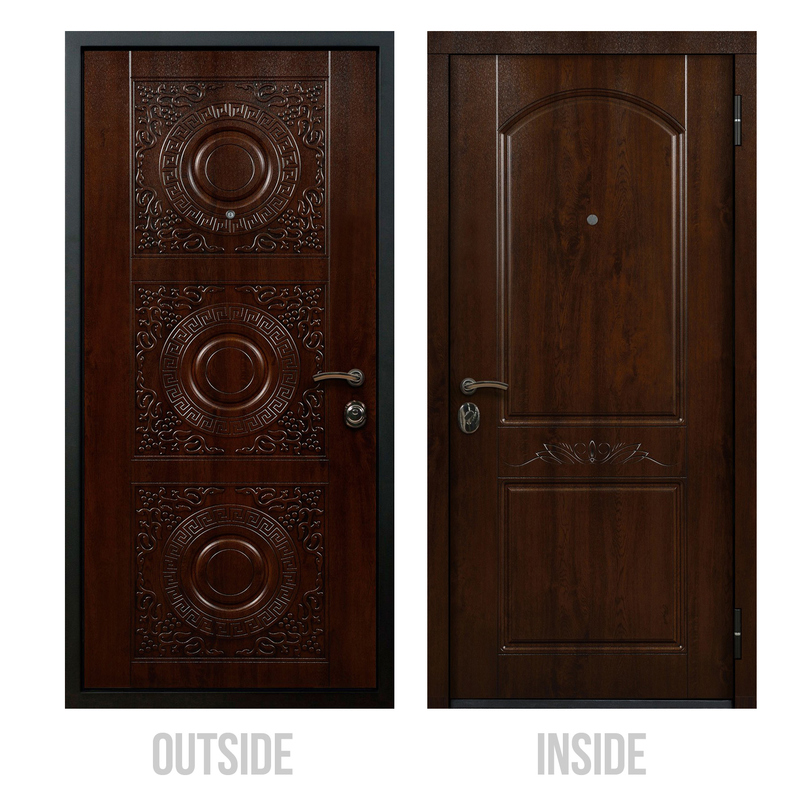 The door that I've ordered is amazingly beautiful. It seems well-made and features the original design which is seem from photos. I was pleased with Salesman's attitude to the customer and their work. The quality of this door is on the top, the price is good and appearance is astonishing. The ease of installation was great, the functionality of the door as well as the warranty are both superior. Well done. Probably does not exist more elegant and beautiful front door for traditional apartments. Locks and hinges work perfectly, the door doesn't weight too much and opens smoothly. I waited a little bit longer for delivery as this door was in special order, after all, love it!